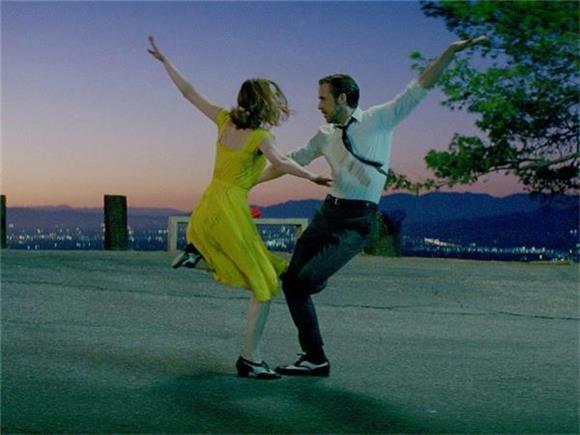 'La La Land': The Return of the Movie Musical? The 2017 Golden Globes took place last night, and aside from being the place to watch our favorite movie stars get tastefully hammered on live television, awards happen to be given out as well. There is plenty to talk about from last night, but it's clear the biggest winner by a landslide is La La Land, the nostalgic and whimsical movie musical about two artists falling in love in Los Angeles. The film won all seven of the awards it was nominated for, like Best Actor and Best Actress for the film's respective leads, Ryan Gosling and Emma Stone, Best Director and Best Screenplay for Damien Chazelle, Best Score and Best Original Song for composer Justin Hurwitz, and Best Motion Picture for Musical or Comedy to top it all off. If it wasn't evident already, this is a pretty big deal for the movie musical genre, and an impressive feat for any type of movie in general. The film now holds the record for most Golden Globes won by a single movie, beating out other critical darlings and serious award contenders like Moonlight and Manchester by the Sea. Being that the GG's are a good indication of what to expect at the Oscars, the next and final big event of awards season, La La Land is in pretty good shape to win big, or at the very least dominate the music-related categories. Not to mention, it's pretty unexpected for a vibrant, uplifting musical about love and dreams to actually be this big of a hit in a world of brooding, gritty films about either brutal realism or superheroes punching each other in the face. Some people might see La La Land as a welcome departure from the current movie industry norm, and after the dumpster fire of a year that was 2016, audiences might be more drawn to something happy and light-hearted just to forget about politics and dead celebrities for a little while. The film's got a lot of good things going for it even without the awards, from the music to the beautiful cinematography shown in the trailers to the extremely charismatic and likable Gosling and Stone as the leads (because if you don't like either of them you're likely not human), so there's bound to be something to like no matter what kind of movies you're into. Movie-musical fans in particular have a lot to be excited about, especially if La La Land cleans out the Academy Awards like it did at the GG's. Unfortunately, I can't see into the future (if I knew what was coming I wouldn't work nearly as hard), but assuming La La Land wins Best Picture, it will be the first musical to win the prestigious award since 2003's Chicago, which in fact was the first musical to win since Oliver! all the way back in 1968. While there was a time where movie-musicals were the moneymakers for Hollywood studios and stars, the trend more or less died by the 1970s when audiences, disillusioned and dejected by the Vietnam era, stopped paying for saccharine song-and-dance routines and instead went to see the dire and dark works of Coppola and Scorsese. While yes, 2012's Les Miserables is an outlier from this fact and received critical acclaim, a lot of that praise came from it being an already-established classic, and many found the film's push-pull between gritty realism and people breaking out into song tonally inconsistent. By being an original musical specifically designed for the screen, La La Land is a modern update to classic movie musicals that has grabbed the attention of both audiences and Hollywood big wigs. If the film's wave of success keeps rolling, studios might feel more willing to take a chance on the genre again, which could mean a lot more original musicals on the big screen in the near future. We'll find out soon enough what the Academy thinks of La La Land, but for now, there's already more than enough incentive to go see this film. Who knows, if enough people go out and see it, there might be a lot more singing and dancing in the movie theater pretty soon, and I'd honestly be pretty okay with that.